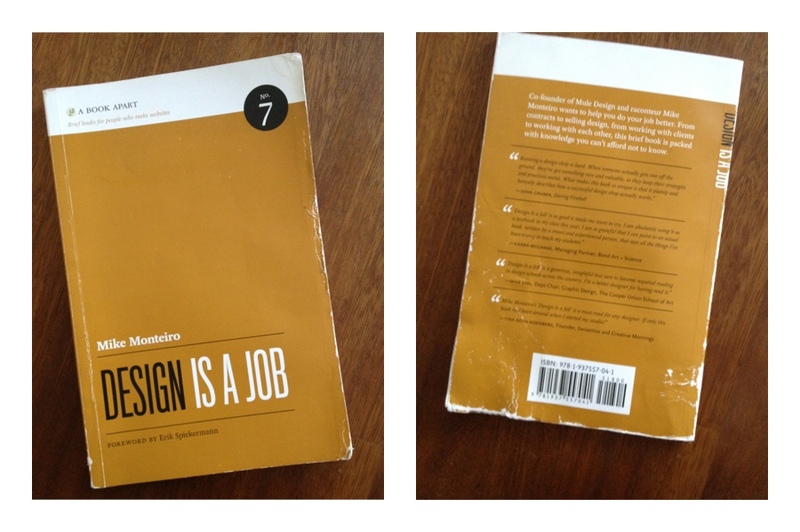 After taking my copy of “Design Is a Job” from London, to Miami, home to London and then back out to Austin (via a swimming pool somewhere along the way) my copy is looking a little battered and bruised. This book is basically all the mistakes I learnt over 10 years of business, rolled into something you could read in a day or so. It’s cohesive and easy to reference back to. I particularly enjoyed the chapter on pricing entitled “Charging for Your Work – even for someone like me, who thinks they’ve got it all figured out by now, I still came away having learnt a lot, or in some cases, relieved to find I was operating the same already. “A Book Apart” series on actually; keeping the tone of the author intact at all times; it makes for a much more enjoyable read. I’ll be handing my copy straight to my intern. If you haven’t got your copy because you think you know it all already, or are of a senior position within your team, think again – spend the $18, I promise it’ll be worth it.